VANCOUVER, April 15, 2019 /CNW/ - Mineral Mountain Resources Ltd. ("Mineral Mountain" or the "Company") (TSXV: "MMV") is pleased to announce that it is arranging a non-brokered private placement (the "Private Placement") of up to 13,300,000 units of the Company ("Units") to be sold at a price of C$0.15 per Unit to raise gross proceeds of up to C$2,000,000. Each Unit consists of one common share of the Company and one common share purchase warrant (a "Warrant"), with each Warrant entitling the holder to purchase one common share of the Company (a "Warrant Share") for a period of one (1) year from closing at an exercise price of C$0.25 per Warrant Share. The net proceeds raised from the Private Placement are intended to be used primarily to fund a 4,000 m Phase 2 directional drilling program designed to test high grade gold values recorded historically down plunge along the East Limb Structure. The first drill hole will be a 1600m Mother pilot hole to a vertical depth below the 1,000m level which will including down hole geophysics DHEM. This Mother pilot hole will cross cut the main sheer zone at the bottom of the hole up to 200m away to intercept the high grade zones Homestake drilled in the 80's below the main Standby Mine, a "turn of the century gold producer". "Our Phase 1 drill program results completed last season and the Company's comprehensive database provide strong support that the 30m wide East Limb Structure, which hosts the Standby Mine deposit, is believed to be part of a large, deep thickened body of gold hosted iron formation, similar to the host rocks of the Homestake Mine, that plunge to the south-southeast", stated Nelson Baker, President and CEO of Mineral Mountain Resources Ltd. The securities issued pursuant to the Private Placement will be subject to a four month plus one day hold period in accordance with applicable Canadian securities laws. The Company may pay a finders' fee on a portion of the financing in accordance with TSX Venture Exchange policy. This release includes certain statements that may be deemed to be "forward-looking information" under Canadian securities laws. All statements in this release, other than statements of historical facts, that address events or developments that the Company expects to occur, constitute forward looking- information. Forward looking information consists of statements that are not historical facts and are generally, but not always, identified by the words "expects", "plans", "could" or "should" occur. Although the Company believes the expectations expressed in such forward-looking information are based on reasonable assumptions, such information does not constitute guarantees of future performance and actual results may differ materially from those in forward- looking information. Factors that cause the actual results to differ materially from those in forward-looking information include gold prices, results of exploration and development activities, regulatory changes, defects in title, availability of materials and equipment, timeliness of government approvals, continued availability of capital and financing and general economic, market or business conditions. The Company cautions the foregoing list of important factors is not exhaustive. Investors and others who base themselves on the Company's forward-looking information should carefully consider the above factors as well as the uncertainties they represent and the risk they entail. The Company believes that the expectations reflected in the forward-looking information are reasonable, but no assurance can be given that these expectations will prove to be correct. Please see the public filings of the Company at www.sedar.com for further information. 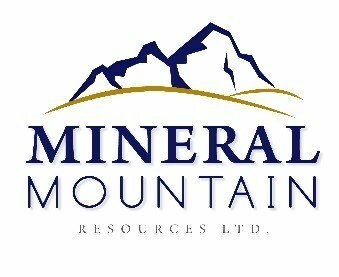 SOURCE Mineral Mountain Resources Ltd.